What is a Chapter 13 Bankruptcy Cramdown? When your home or primary vehicle is at risk, you can take advantage of Chapter 13 bankruptcy cramdowns to help improve your situation. Utilizing a cramdown can be beneficial because it will reduce the balance of a debt down to the value of the property at risk. It may be possible for you to also increase the length of your payment plan, lower your interest rate and decrease your monthly payment. When you file for bankruptcy, the court will determine the interest rate you owe. When you default on a secured debt, creditors have legal avenues of repossession or foreclosing on your property. Mortgages and car loans are both examples of secured debts, but filing for Chapter 13 bankruptcy can help you maintain ownership of your property. Cramming down your loan means that the amount you owe is lowered to the value of the at-risk property. The debt included in your Chapter 13 payment plan will reflect this lowered amount or cramdown. The remaining balance of your loan will frequently be lumped with unsecured debts. Often, the remaining balance will be discharged upon the completion of your plan. Certain restrictions apply to the types of loans you can cramdown. Congress restricts individuals from cramming down any car loans for at least 910 days. This 2 ½ year period ensures that people don’t attempt to immediately cram down their loans immediately after purchasing a new car. A one-year rule is typically imposed on other types of personal property loans. If you are considering utilizing a Chapter 13 bankruptcy cram down to reduce your debts, then it’s important to speak with an experienced attorney. Bankruptcy attorney Joel R. Spivack will help you determine which debt relief option is right for you and help you regain control over your financial future. To contact the law office of Joel R. Spivack, call 856-488-1200 or fill out our online contact form today. 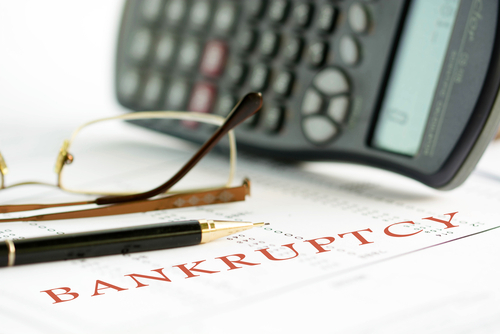 ← Will My Tax Debt Be Discharged Under Chapter 7 Bankruptcy?